Currently home to 2+ million people and projected to grow to 3+ million by 2031 and to 4+ million by 2050. The most ethnically diverse region in Australia with nearly 1 in 3 residents from a non- English speaking background. It is the third biggest economy in the nation with an economic output of $114 billion annually, which is expected to rise to $165 billion in 2031. 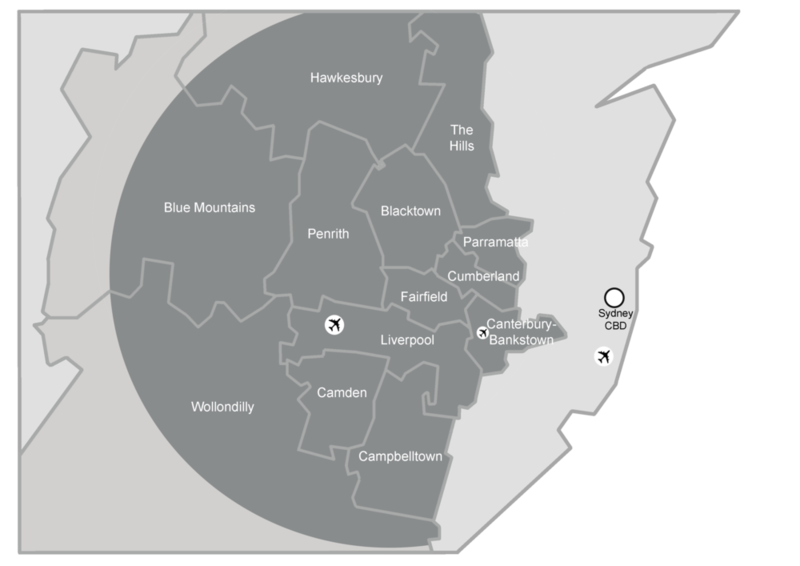 It has three regional hubs in the ‘River Cities’ of Parramatta, Penrith and Liverpool and other commercial centres such as Castle Hill, Olympic Park, Blacktown, Bankstown and Campbelltown. The economic mix is transitioning from traditional manufacturing and agriculture to logistics, finance, ICT, professional services, health, food processing and education. Parramatta is already recognised as Sydney’s second CBD, housing many national corporate and government headquarters.